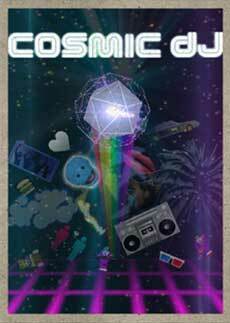 Cosmic DJ is a quick, "pick-up and play" musical experience about the joy of music creation for budding intergalactic musicians of all skill levels. Sequence – Create your galactic beats with the intuitive, tap-based controls and the classic grid sequencer inputs with dozens of instruments from keyboards and drums to guitar and voice samples. Create and Share – A legendary DJ should not keep their creations for themselves so share your creations with the world by automatically creating and MP3 from your creations! Even create an album cover artwork with photos, stickers, and drawings to make it your own. Intergalactic Corgis – Jam with cutest little dogs in the galaxy, Welsh Corgis. ​Cosmic DJ is a quick, “pick-up and play” musical experience about the joy of music creation for budding intergalactic musicians of all skill levels. Set among the stars, you will strive to become the legendary Cosmic DJ through six musical adventures as you’re tasked with repairing the all-important “Jamtennas” and bring harmony back to the galaxy. Cosmic DJ is a fantastic rhythm gaming experience on its own, even without the inclusion of the greatest dog breed ever. And yeah, there were horses running around in 3D glasses, so game of the show right there. ... once you start playing the dancers are bound to start showing up unannounced. @DaveOshry The thinking man’s game, for sure. We are not interested in hearing about user acquisition strategies.